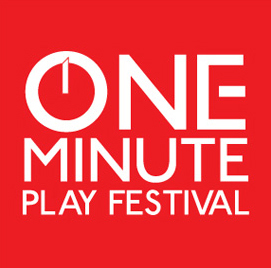 Playwrights' Theatre at Boston University and Dominic D'Andrea of The One-Minute Play Festival have announced details on The 2nd Annual Boston One-Minute Play Festival featuring more than 70 hot-off-the-presses, new one-minute plays by 40 playwrights from Boston and New England’s growing pool of exceptional contemporary writers. Performances will take place January 5 - 7 at Boston Playwrights’ Theatre located at 949 Commonwealth Avenue in Boston. The 2013 Festival will feature specially commissioned works by: Barbara Blumenthal-Ehrlich, Elisabeth Burdick, Bill Doncaster, Stephen Faria, Peter Floyd, Patrick Gabridge, Deirdre Girard, Kirsten Greenidge, Israel Horovitz, Colleen M. Hughes, Dan Hunter, Emily Kaye Lazzaro, Christopher Lockheardt, K. Alexa Mavromatis, Walt McGough, James McLindon, Jack Neary, Rick Park, Rosanna Yamagiwa Alfaro, Ken Urban, Mwalim *7, Natalia Naman, Thom Dunn, Grant MacDermott, Elenor Burgess, David Valdes Greenwood, Liz Duffy Adams, Tyler Monroe, Nina Louise Morrison, Lindsay Soson, Noah Tobin, Jaclyn Villano, Lila Rose Kaplan, Ginger Lazarus, Joyce Van Dyke, Michael Bradford, Obehi Janice, and Steven Bogart. Directors include: Ben Evett, Bridget O’Leary, Vicki Schairer, Jeffrey Mosser, Shana Gozansky, Corianna Moffatt and Giselle Ty. Artists will be working on this emerging short form to explore the relationship between the individual voice and the zeitgeist of a specific region. The playwrights have several weeks to complete scripts, with the only stipulation being that they must be performed in one minute. Playwrights are selected by invitation and asked to engage in OMPF’s playmaking approach. Playwrights are encouraged to write about anything they are passionate about, and, as emerging themes or ideas become apparent, the plays are grouped to reflect those elements. Teams of directors and actors work to stage each group of plays. The result being 70 fully mounted plays, all staged with 4 chairs. Kate Snodgrass, Artistic Director at Boston Playwrights’ Theatre, added, "If you think that the Boston Theater Marathon moves fast, these one-minute plays are like lightning! How many epiphanies can you have in 70 minutes? And all these wonderful writers, actors and directors….All three nights are fly-by-the-seat-of-your-pants wonderful!" For tickets and information, call 866-811-4111 or visit bostonplaywrights.org.